Today I would like to share some history on a special character in our hearts. She was the first character Teddy and I conceived and in many ways, paved the road for the game to become what it is today. Her conception came at a time when Teddy and I had no idea who was going to be in charge of animations or even how many of our ideas were going to be realized in the final game. To say it was a time of uncertainty would be a gross understatement. As fate would have it, we were given an opportunity to work with Bei Chen and his team. We instantly fell in love with his style of work and we firmly believe he is one of the best artists in the industry. Many of you may not know this but nearly all of our assets are hand drawn, frame by frame. The game really is a testament to our art team’s extraordinary talents. 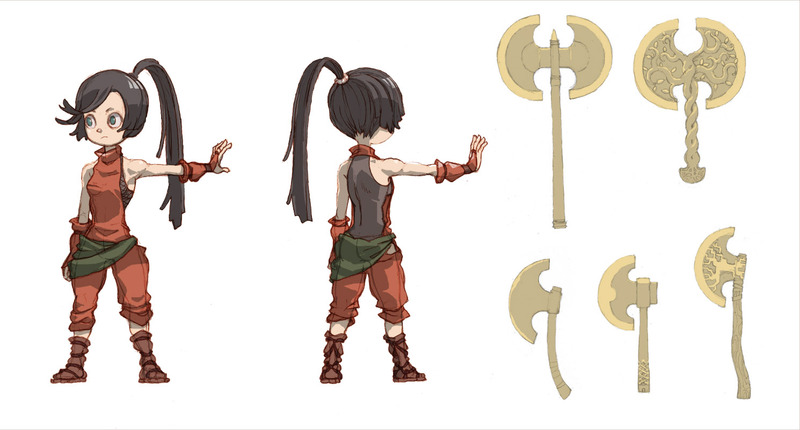 Tsubaki has come a long way, and we would like to share some of these fond memories with you. The Beta Client was updated again, adding the much requested shadow/ghost block and a basic combo system. Let us know what you think!